If possible, would you use credit cards to make mortgage payments? As the single largest payment that we have to make each month, I would love charge our monthly mortgage on a rewards credit card if we could. It’s not about having some 30-day delay in paying the credit card bill, because the delay only works for the first bill, but getting cash back in return. Since we are currently making about $4,000 in mortgage payment each month, it would be really nice if we could get $80 in cash back with a 2% rebate credit card. That’s the money that we could use at anywhere (remember last time when we refinanced our mortgage, we saved less than $100 a month). Unfortunately, our lender doesn’t have such an option. Loan payments can only be made with checks, or ACH directly from bank account. I guess this is the case for most lenders. Just like that while it’s possible to pay your income taxes with a credit card, it has to be done through a third party. 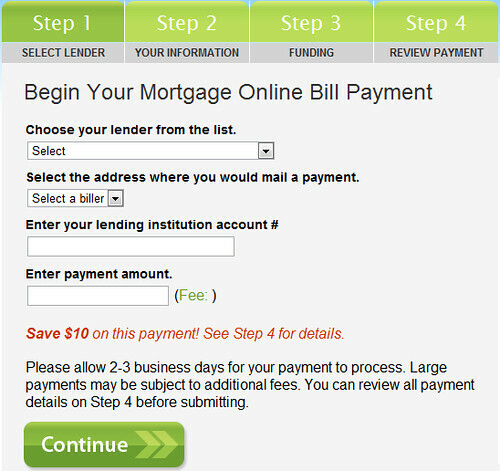 As for the mortgage payment, one such third party is ChargeSmart.com, an online bill payment service provider that lets customers pay car loan, mortgage, utility bills and student loan with credit cards (ChargeSmart has teamed up with Plastic Jungle to allow people use their unwanted gift cards to make payment soon). Of course, when using credit cards to make this kind of payments, cost is always a concern and to me it only makes sense to do so when benefits outweighs costs. When I send payments directly to our lender through our bank account, we don’t get anything in return, but we don’t pay any fee either. Out of curiosity, I tried ChargeSmart last week to see how it works, but I didn’t go all the way to use it to make payment. Since it doesn’t tell you exactly how much fee it’s going to charge, whether it’s a flat fee or something based on the payment amount, the only way to find out is to reach the “Confirm your Payment” stage as indicated in their FAQ page. The funding of a ChargeSmart payment account is always free. However, depending on the biller, there is either a blended fee (including a percentage of the transaction cost) or a flat fee associated with your transaction. The fee will be displayed prominently before you proceed with your transaction, and again at the “Confirm your Payment” screen before the card is charged. 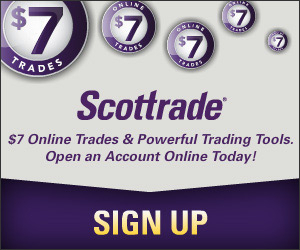 There are a total of four steps in the sign-up process. First you need to see if your lender is supported by ChargeSmart. From the drop-down list, it seems that ChargeSmart has most of the big lenders such as Bank of America, Wells Fargo, PNC Bank, US Bank, and CitiFinancial, etc. My lender isn’t a big one but I was able to find it in the list, so I could proceed. As soon as I entered the amount I wanted to pay (first I entered $1,000, then $2,000), I saw a message that ChargeSmart will charge $21.95 for this payment. Since I put two different numbers and got the same amount of fee, I assume that this is the flat fee mentioned in the FAQ. If that was all I have to pay for using the service, it actually isn’t that bad. If I were to pay $4,00o mortgage through ChargeSmart using a 2% cash back credit card, I would get $80 back, and subtracting $21.95 fee, I would still save $58.15 each month. But that’s not all. On the same page, it also says that the transaction is also subject to Large Payment Security Fee, but no amount was disclosed at that point. I had to go to the final step to find out that the Large Payment Security Fee for making $2,000 payment was $25.71, which could be a percentage of the transaction cost. Because I didn’t try with $4,000, I don’t know the total cost of using ChargeSmart to pay our monthly mortgage. Is It Worth It to Use ChargeSmart? As you can see, for paying a $2,000 mortgage bill, the total cost will be $47.66. That’s not enough for the $40 cash back that I would get for using my 2% cash back credit card. At that point, I abandoned the process and didn’t go to the final step to confirm the payment because I already concluded that it’s not worth it, even though it is still be possible that I c0uld save a little (less than $20 probably) if I would pay the $4,000 mortgage with it. I saw that you recently started a payment on ChargeSmart but left before you completed the transaction. It’s my job to make sure we provide exceptional customer service at ChargeSmart, so I’d like to offer you a $25 gift certificate (valid at over 18,000 restaurants nationwide) if you complete your payment today. The gesture didn’t make me feel any better about ChargeSmart. In fact, it annoyed me. I mean there were many times in the past when I wanted to buy something but changed my mind before hitting the submit button. I never got any email from the merchants asking me to go back and finish the transaction. I don’t know why ChargeSmart thinks it’s different from others. Anyway, I replied back saying I think the fee is too high. I also asked the question about the total fee for a $4,000 mortgage bill. But I never heard back from ChargeSmart, which is fine because I don’t think I will ever use it. Thanks so much for the detailed post. You just saved us the effort of checking to see if it would be worth it for us as well. It’s an interesting idea, too bad we all can’t make it work.